BT has today unveiled a £20 million commercial investment for Northern Ireland, which will enable them to deploy “ultrafast broadband” services to a further 140,000 homes and businesses by March 2019. This will “predominantly” involve their 1Gbps capable Fibre-to-the-Premises (FTTP) network. The operator tends to define “ultrafast broadband” as offering speeds of greater than 100Mbps and the use of the word “predominantly” leads us to suspect that some hybrid fibre ‘up to’ 330Mbps capable G.fast technology may also be involved. The announcement also suggests that the main focus of this work will be on urban areas, such as towns (i.e. the easy low hanging fruit). This investment complements the current joint investment programmes that BT already has underway with the Northern Ireland government, and when combined, they suggests that it will result in “nearly a quarter” of all premises having access to ultrafast broadband. “We’re delighted to be investing at this significant level, delivering against our local ambition to futureproof our Northern Ireland infrastructure and rank favourably amongst the best fibre networks in Europe. Through our current investment programmes, 25 per cent of homes and businesses in Northern Ireland are scheduled to have access to ultrafast broadband by March 2019.These investments are underpinning Northern Ireland’s internet economy and society, and bringing an online experience like never before to consumers and organisations. 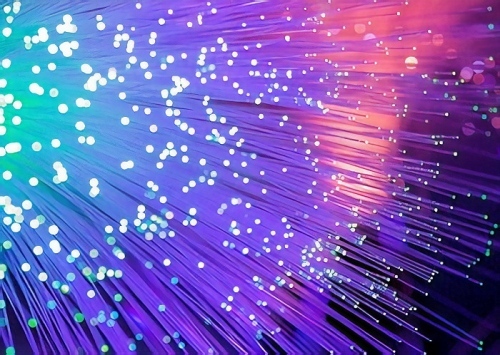 As part of this BT intends, over the next 10 months, to recruit 42 apprentices and graduates, who’ll undertake a variety of roles in designing, planning and building the new “full fibre” network. The roll-out is set to begin immediately and further details will apparently be published on this website: www.nibroadband.com. It’s worth pointing out that the UK Government has also previously signed a deal with the Democratic Unionist Party (DUP) to secure the support of their 10 MPs in Parliament. As part of that Northern Ireland can expect to receive £150 million to “help provide ultra-fast broadband” (here), although at present this is still being bogged down by one of the region’s all too common political deadlocks over wider issues. NOTE: At present around 31%+ of Northern Ireland can already connect via a 100Mbps+ broadband connection (largely due to Virgin Media’s network) and the coverage of “superfast broadband” (24Mbps+) is around 84%+ (here). So BT are going for an average spend £143 per premises on this commercial roll out. Extremely good value and I would guess that this is the “Easy” part of NI in which to install. So leaving the joint venture taking the harder to reach parts of the country which will have a greater per premises cost. Looks like BT want the DUP votes too. You can’t have consistency because Openreach’s FTTP network is not yet fully consistent and neither is their own messaging (hence your example above). Sometimes they say 330Mbps, others they say Gigabit etc. Part of that is because consumer FTTP packages are more focused on speeds up to 330Mbps (residential orientated press releases thus tend to use that), while 500-1000Mbps are considered more of a business solution. On top of that I don’t think that all parts of their FTTP network are able to harness the new 1Gbps speeds yet. But as it’s FTTP then it’s often safest to say Gigabit capable because the cable itself is no longer the restriction. So they are investing in upgrading the urban areas which already have superfast broadband to ultrafast fibre, as usual all investment will ignore anyone west of the Bann river. Meanwhile rural areas with very poor broadband such as Fermanagh & South Tyrone (2 counties in Northern Ireland) are sitting at 649 out of 650 in the Think Broadband performance tables. I will wait for ‘TheFacts’ user on here from BT’s marketing department to state something about the commercial aspect of rural. How will BT survive the year when their profits have dropped 22% to £1.08 billion GBP? You don’t stop moving technology forward in other areas just because it’s taking a long time to finish off the “superfast” deployments to rurals. The responsibility is partly down to the NI / UK governments and the need to set a solid target / funding for reaching the more challenging locations. Commercial businesses aren’t charities. As such, this will be my last comment on the site. As you already know, there was a recent government investment commitment to the DUP of £150 million ultrafast broadband infrastructure in Northern Ireland spread over 2 years. When I ask the local goverment tell me that we are at the mercy of BT. I assumed there was some non-commercial maintenance commitment to the infrastructure investment as part of the original privatisation of BT, and that the recent USO of 10 mbps should effectively be guided by that, instead of leading to severe neglect in the most rural areas for commercial reasons. Sorry Mark, I am with RuralBroadbandSucks here. Whilst I agree that the Ultra-Fast wheels shouldn’t stop turning because BT are lagging in the deployment of Superfast Broadband (or something in-between to fulfil the proposed USO) to Rural homes and businesses there should be compromise. A strategic deployment change is required, greater focus on the wider network as opposed to focusing on the ‘low hanging fruit’. Without it the divide will eventually become so great it will create 2, 3 or 4 tier networks. I am in Mid Ulster, the very centre of NI, but I may as well be living on an island in the centre of Lough Neagh receiving my Broadband for what it’s worth. LR-VDSL trials have been run within 5 miles of my vicinity but even when BT finally get around to deploying the product there is no guarantee that speeds will improve for all that will be able to avail of it. Yet this will be BT’s answer to fulfilling the USO and once it’s in BT won’t be back for quite some time to bring us on to the next tier. By then ‘Ultra Ultra’ fast will be in the deploy stages at Gigabit speeds, they will then revisit Rural areas and complete the Superfast rollout where it couldn’t hit the spot before, the divide widens even further and is a waste of tax payer’s money. FTTP on Demand is available to me but will any ISP touch it, not a chance, having to run 1.6 miles of Fibre from my nearest cabinet is a no no in BT Irelands eyes, believe me I’ve already received the rejection! G.Fast deployments on DP’s or final drops to facilitate 4 – 6 homes that it serves, forget it, we are all Rural DSL doomed! If you want BT to stop having to deploy based on commercial, competitive requirements, then you have to stop making it trade in a competitive environment. If there is to be a strategic change in deployment, then it needs a strategic change in the way that money flows in the industry. @Fastman, I did actually look into a cofund with Openreach via Community Broadband but appetite was low. This was also compounded by the fact that BT stipulate that I am in fact already in a ‘SuperFast’ fibre enabled area, that I can order ‘SuperFast’ Broadband right now (at 2Mbps owing to BT now enabling the WBC FTTC 18×2 Sim Availability option) and touting 2Mbps as ‘Great News’ and ‘Superfast’! Crikey. Remember the days when BT wouldn’t allow the installation of Fibre unless 15Mbps was achievable, service offering has degraded a lot since and I have witnessed underhand tactics to move customers from ADSL to FTTC (successfully), whatever speed may be achievable. I know FOD will likely never happen for me personally, I have even looked into WiMAX, Satellite and 4G, all either expensive, poor data caps or poor delivery of service so a fixed line option will, as always, be the best option. If only BT would give some indicator of Service to be delivered over the next 12 months it would go a long way in allowing me to look at possible alternatives if they won’ delivery FOD, LR-VDSL or G.Fast. However, trying to squeeze any information out of BT to assist with that decision can be a harrowing experience! Just wanted to backup RuralBroadbandSucks comments. Here in NI the constituencies with the least coverage are listed as Mid Ulster, Fermanagh and South Tyrone and West Tyrone, they all fall into the 60 to 66% band. Most other constituencies are in the 90 – 96% band,you can surely understand RuralBroadbandSucks frustration about further Urban investment when Rural availability is dire! To have an average cost per premise of £142.85 I would say that they would have to be right on top of each other to make that cost in. 1G capable yes, this is purely down to the kit at each end of the fibre, not the actual cable. There is far more capacity in the ofc than 1G. Is there any investment in the core layer and CMTS to ensure that these speeds are achievable or is that infrastructure already there?. Either way, good to see the investment in NI.